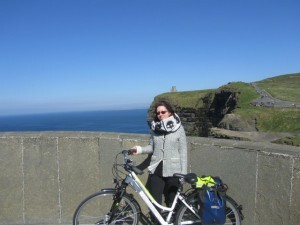 We are a bicycle hire company, located along the Wild Atlantic Way, in the north of County Clare, Ireland. 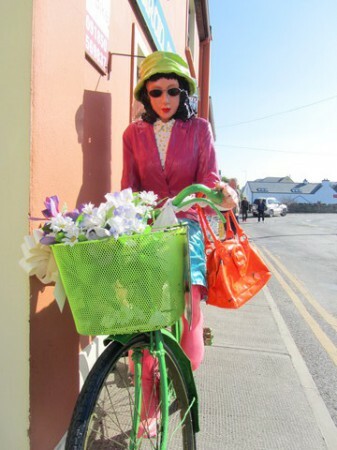 We have a wide selection of high quality touring bikes situated behind Village Crafts on Fisherstreet in the Heart of Doolin, County Clare. 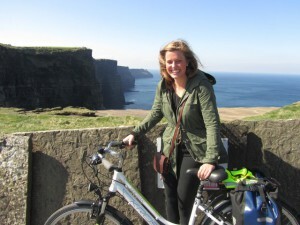 Keep an eye out for Delia our ever present cycling enthusiast. 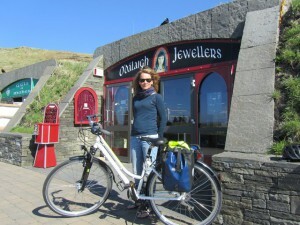 Doolin is situated on the West of Ireland in County Clare, over-looking the Atlantic Ocean. 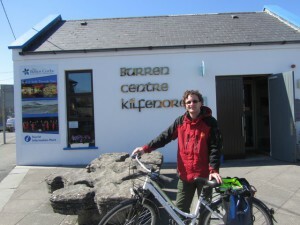 The map here shows the main routes to Doolin from Kerry and Limerick in the south and Galway in the north. 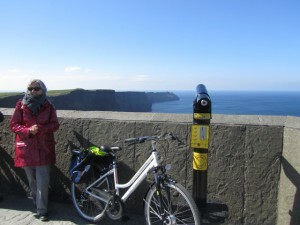 There are daily ferry crossings to the Aran Islands and its just a short cycle to the stunning Cliffs of Moher. 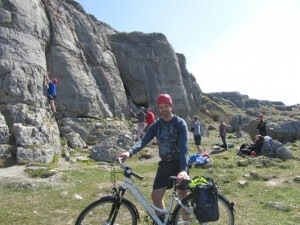 We stock the highest quality touring bikes and accessories and we can cater for large groups as well as families, couples and single riders. 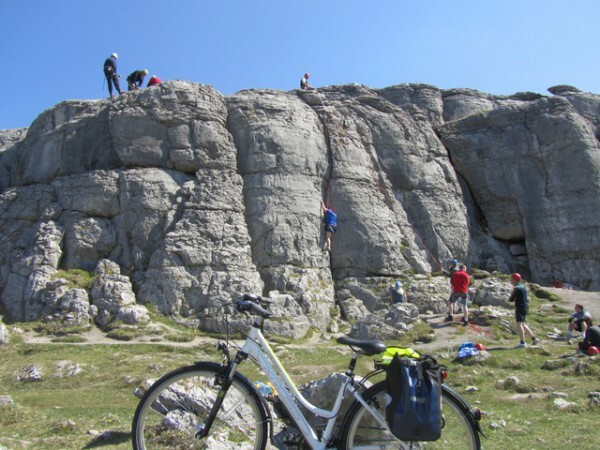 Take a look at our Bikes page for more technical information about the our bikes and what we can offer for your cycling experience. 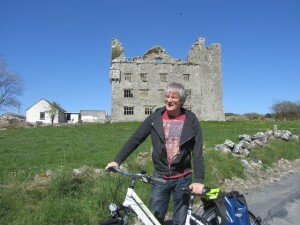 North Clare has some of the most spectacular and enjoyable cycling routes in the country with every effort made to minimize the amount of traffic on the routes. 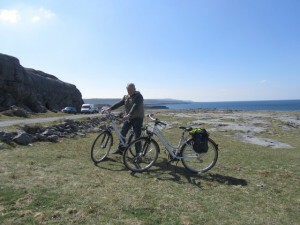 Experience the Burren and Cliffs of Moher at your own leisurely pace at distances easily managable by beginner and intermediate cyclists. 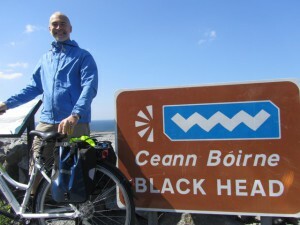 See the Routes section for a more detailed overview of the most prominent routes available. 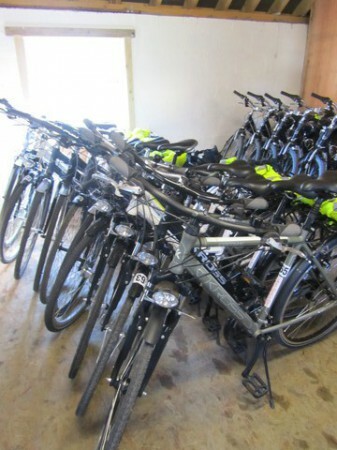 You can request bikes or simply make an enquiry by filling in the Bike Request / Contact Form on the left. 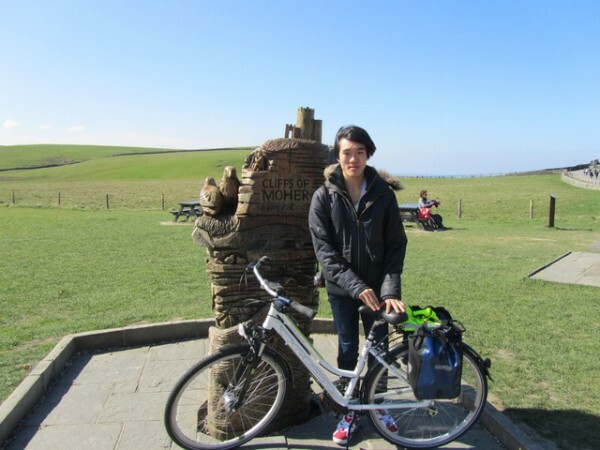 Please remember to include a contact telephone number if possible. We will endeavour to respond in quick time. We are also happy to publish your comments and feedback about your experiences on our website.